Update, June 14: PUBG’s map selection is about to get much more limited. PlayerUnknown’s Battlegrounds got map selection earlier this year in answer to a hungry set of fan demands, with the warning that “it could become problematic as new maps continue to be added.” Now we’re on the eve of a new map release, and it seems those problems have been significant, because map selection is going away. “It’s now become clear to us that these concerns were justified, and we’ve decided that we can’t support individual map selection for more than two maps,” developer PUBG Corp says. 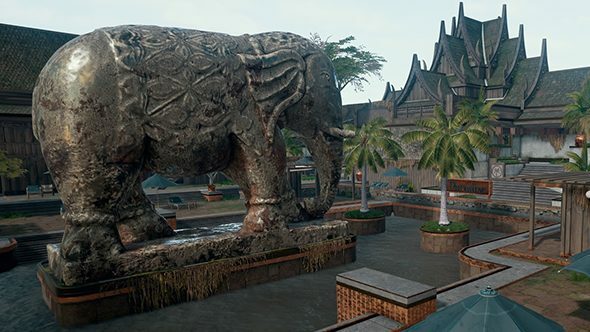 For the immediate future, there will be three map queues after Sanhok’s launch next week. One will let exclusively feature Sanhok, and the second will bundle all three maps together. PUBG’s attracted a lot of competition, but what’s the best battle royale game? The third will have Erangel and Miramar bundled together. So if you’re one of the (many) Miramar haters out there, your only respite from the desert location will be to stick to Sanhok. That’s not exactly what PUBG players were looking to hear, but the developers say that map selection is stretching the queues to their limit. More concretely, PUBG queues are divided by third- and first-person perspectives, then by solo, duo, and squad team sizes. That means there’s six new queues for every new map selection option added. Even with a somewhat shrinking player count, PUBG is still by far the most-played game on Steam, though it seems even those numbers have their limits. It’s not clear what will happen to map selection once the newness of Sanhok has worn off, but we’re certainly getting far fewer options from here on out.